CESSI Ergonomics team members realize that Quality Responsiveness is vital to our customers when they are trying to help an employee with their ergonomic needs. Therefore, our team of Certified Ergonomic Professionals are available to assist you by email and phone with chat capabilities coming soon. We look forward to hearing from you and are committed to exceeding your service expectations. Our performance product stand-alone solutions (Footrests, Headsets, Document Holders, Keyboard Trays, etc.) generally ship within 48 hours of receipt of orders. Customizable solutions and capital goods items (Sit to Stand Desks, Ergonomic Chairs, Industrial Lifts, etc.) generally require 2 - 3 weeks for manufacturing and a few days thereafter to deliver to you. 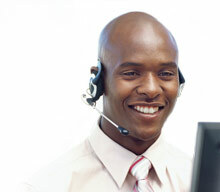 customercare@cessi.com for responses within 24 hours.